Our product range includes a wide range of pfa flexible hose. We manufacture high quality, chemically resistant, translucent, PFAFlexible Hose for use with both PFA tube fittings and metal tube fittings. Our flexible hose is available in ultrahigh-purity and advanced (fluoro - surfactant resistant) ultrahigh-purity grades. 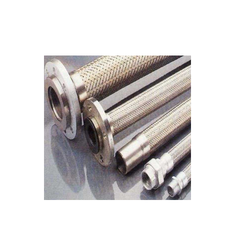 They are able to withstand a wide range of working pressure and temperature. There are a host of sizes and internal diameter options available for various industrial applications. Looking for PFA Flexible Hose ?